It’s a cold December night, and Bill and I are trudging along a country road just outside of Prospect looking for an abandoned barn. We have flashlights with us, but we’re not using them because we don’t want to attract unwanted attention. We push our way through the brush, and in a few minutes we’re in a clearing with the outline of the barn and a few other buildings just barely visible in front of us. For the moment the road we’ve just left is free of traffic, and the only sound is the winter wind blowing through the bare branches of the trees. “So, um, what do we do now?” Bill says. We poke around. It turns out there’s nothing even remotely interesting inside the barn or the other buildings. “No, not that I’ve heard. It’s just some old abandoned buildings someone told me about. I thought it might be cool to come out here and check it out.” If Bill could see me in the dark, he’d see me shrugging. “Why, are you scared?” I say, teasing. A half an hour later we’re warming up and eating burritos at the Taco Bell on Delaware Avenue. The image in question. It’s only when the section is blown up that the ‘face’ is plainly visible. Is it a ghost? Maybe. But there’s another explanation for this image that’s worth discussing: pareidolia. Put simply, pareidolia is the natural tendency to see or hear something we recognize as human (e.g. a face or a voice) in what is essentially random or vague stimuli. 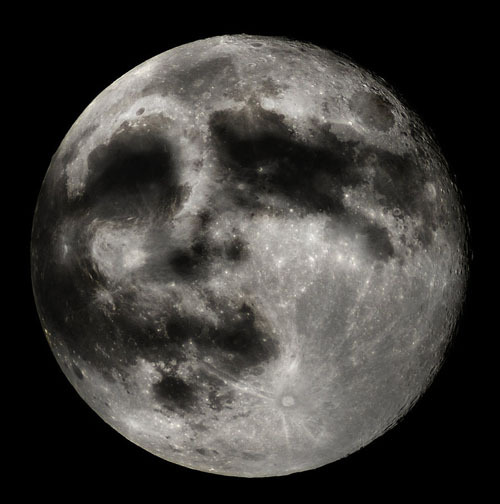 Seeing the man in the moon is a well-known example of pareidolia. Ghost hunters often take copious photos and record hours of audio while in the field with the intention of analyzing this data later. They make the assumption – arguably a false assumption – that their equipment will pick up images and sounds they themselves may not detect. As a result, when they go over their data later, they’re already primed to see and hear patterns that are perhaps just not there. 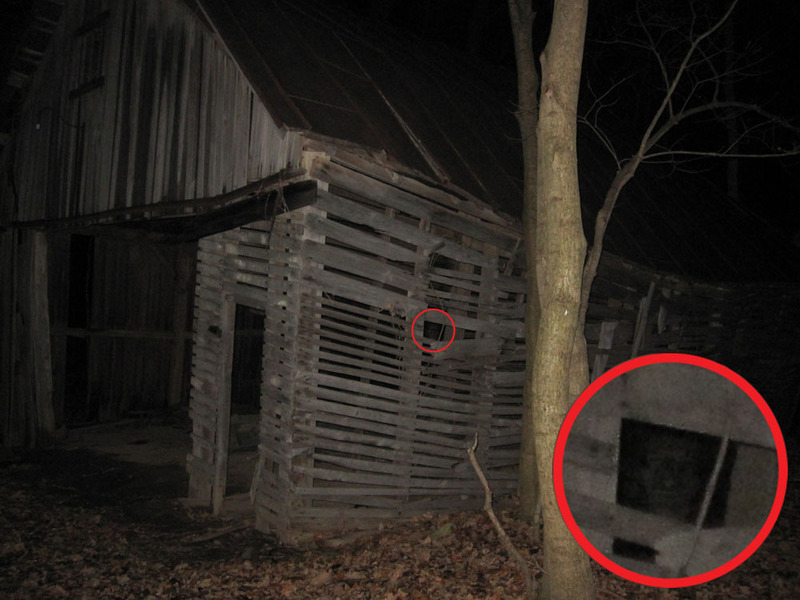 This isn’t to say that unexplained images or sounds can always be explained away with pareidolia, but it’s certainly something ghost hunters should keep in mind. Personally, I don’t think that the image I photographed that night in December is a ghost. Still, I have to admit that I did get a little chill when I spotted that otherworldy ‘face’ staring at me from between the slats of that building. Bill was right; ghost or no ghost, the image was definitely spooky. Josh, do you believe? Have you ever really seen a ghost??? I know you have spoke with several folks who claim they have, but how about you?? Thoughts?? When I was a child I ‘thought’ I saw several ‘things’, maybe because I was a child and I was more in tune to those sort of things? Hi Amy! I have to admit that I’ve never seen anything myself that I would describe as paranormal. I love science and think it generally does a very good job at explaining the natural world. But…I also think there will forever be areas of the natural world where science comes up short. So, to answer your question: I have never seen a ghost, but I also believe in the possibility of their existence.